al to meet the injured victims after returning from New Delhi on Friday evening. Sonowal briefed Prime Minister Narendra Modi and Union home minister Rajnath Singh about the situation. The CM, who was in Delhi when the attack took place, met the Prime Minister and apprised him about the incident at Balajan Tiniali market in Kokrajhar district and the steps taken to nab those involved in it. Rajnath Singh assured full Central assistance to the state government. Sonowal cut short his visit to the national capital and returned to Assam on Friday evening after the terror attack and instructed state police to arrest those involved the in it. He announced an ex-gratia amount of Rs 5 lakh to the families of the deceased, Rs 1 lakh to those seriously injured and free treatment to the other injured. Meanwhile, the Assam police have arrested the driver of the auto used by militants to reach Balajan Tiniali market. Additional DGP LR Bishnoi said that three to four militants carried out the Friday’s attack. He said while one militant was gunned down by security forces, efforts are on to nab the remaining attackers. He said three additional companies of Army arrived in Kokrajhar following the incident. Health minister Himanta Biswa Sarma said that preliminary investigations point towards the involvement of Songbijit faction of NDFB militants in the attack. The National Investigation Agency (NIA) has sent a team to the site of the incident to collect evidence. 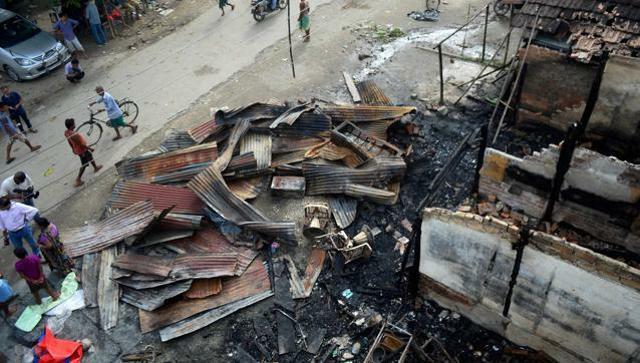 The Centre is closely monitoring the situation arising out of the Kokrajhar attack.